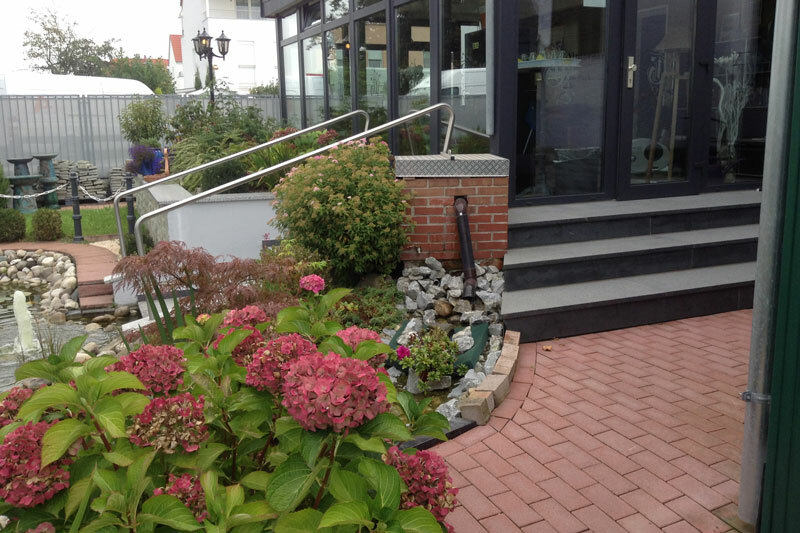 Our Airport Hotel near Frankfurt Main is located in a traffic-reduced side street in the old town and was completely renovated and refurbished in 2009. Through years of experience we could perfectly meet the needs of our guests. Thus, our rooms are designed for the optimal comfort and coziness. Your relaxation is surely also of the highest priority. There are sun terrace, sauna house, lawn for sunbathing with deck chairs and pavilion with charcoal grill on the ca. 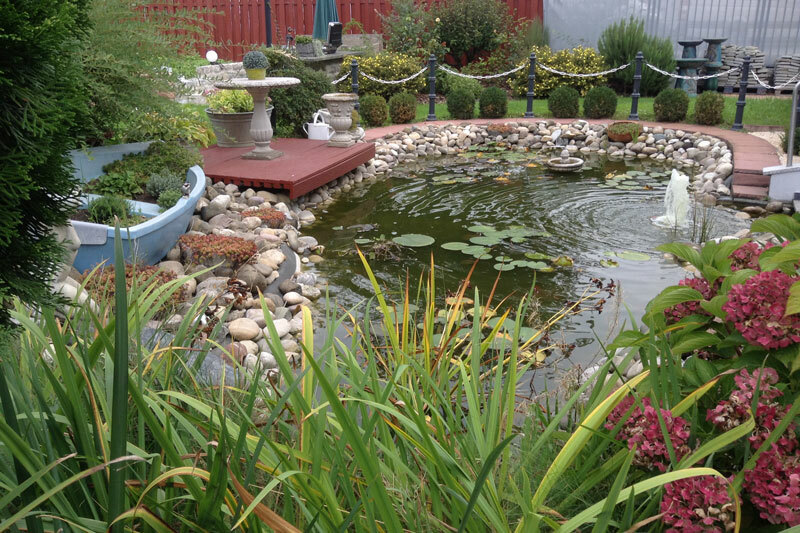 2000 m² garden area with fish pond available for relaxation. We have provided a shoe shine machine, washing machine with coins and beverages supply in the house for our guests. Free internet access in all rooms offers the perfect conditions for business-guests and all other visitors of our pension. Our bicycle rental is also available for you to explore the surroundings. The nearby bank of the river Main and the forest will give you a good opportunity for relaxing walks and hikes. For the more restless among you, there are public transport services such as urban trains and buses available to explore the whole Rhine-Main area.